First, you need to have some way to actually construct the invoice document itself. For this, you have some options. If you use Microsoft Office products, both Excel and Word have templates you can use to put it together, and G Suite users can leverage any number of integrations to do the same. Alternatively, there are many software titles out there that offer more specific functions based on need and preference. Description - You want to be crystal clear on your invoices about what you are billing for, especially if part of it refers to time spent rendering a service. This will allow you to properly bill your clients while allowing them to understand exactly what they are being billed for, cutting back on how often your invoices are contested. 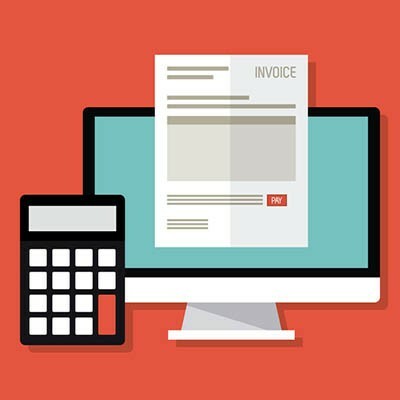 Overall, every invoice should include the order number it refers to, the total amount owed, how the invoice can be paid, and when payment is due. Discount Details - If you are offering any discounts, you will also want to make sure these are clearly annotated on your invoices as well - especially for those who are first signing on to your services. Otherwise, these discounts may confuse your clients and instill a false expectation for the future - creating surprise and frustration when the discounts are gone later. Schedules and Policies - Just as you were held to a schedule to deliver your service, your client needs to be held to a schedule to pay for it. Consistency will also help your client prepare their payments on time. On a related note, your invoice should thoroughly explain your company policies on discounts, late payments and associated fines, and due dates to make your expectations of the client very clear. Of course, this isn’t everything that can, or should, go on your invoices. However, these aspects are crucial enough to be mentioned and detailed separately. You should also consider other elements to include on your invoice, making use of what would otherwise be blank space. You may consider adding a more personalized touch and suggesting the next steps that a client should take, based on the services you are billing them for. Furthermore, add some more of a personal touch by including some kind of thank-you message on the invoice. Write up a brief piece thanking your client for their business and have it printed on the invoice. Not only is this a visible way to earnestly say thank you, the appreciation you show may help to expedite payments and encourage repeat business. If you want to receive your payments on time, how you send your invoices is just as important as how they look. First and foremost, they need to be sent much sooner than later. If yours is like many businesses, you may have found that your invoices go unpaid for long stretches of time. Estimates put the total of unpaid invoices to small businesses at well over $800 billion, and that was back in January of this year. This is why it is crucial that your invoices are distributed efficiently - it may be a long time before you get them back. This is another reason that technology solutions are useful tools to assist you in managing your invoices digitally. Most invoicing software will likely enable you to track the status of the invoices you’ve sent. If you want more assistance in managing your invoices, reach out to Kornerstone Technology Inc.. We’d be happy to assist you, all you have to do is call 818-206-6383. In the meantime, don’t forget to subscribe to our blog for more useful technology tips and advice!